Want to opt outside, but aren’t sure where to go? What about Anacortes? This small Washington town sits in the banana belt on Fidalgo Island, which means it usually has warmer and drier weather than the surrounding areas. What does this mean for you? Blazing a trail any time of year is a whole lot easier. Oh, and no trail is more than 15 minutes away from downtown Anacortes, which means after fueling up on breakfast and lunch, you can be hiking through 2,800 of lush forest lands with meadows, wetlands, lakes, and gazing upon spectacular seascape views. 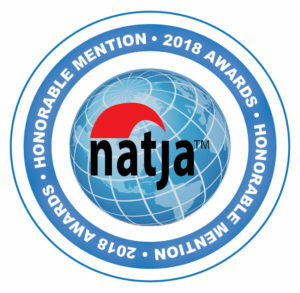 Disclosure: You can help support my small town travels by using the affiliate links in this post. Fidalgo Island has 50 miles of multiple use trails with ten main trailheads. For years, Little Cranberry Lake trail was my top choice. The main trail follows a 1.5-mile loop around Little Cranberry Lake with various offshoots that lead hikers on different routes to Little Beaver Pond, Big Beaver Pond, and Mitten Pond, and into neighborhoods like Rock Ridge, which offers outstanding sunset views of the San Juan Islands. For the most part, the trail is easy going, but it can get muddy and rugged. The most popular access points are at Cranberry Lake Road, which has a small parking lot and viewing area of the lake, and a large roadside parking lot on A Ave.
Ship Harbor Interpretive Preserve trail is my favorite place for bird, shoreline and ferry watching and the easiest to walk. It hugs 2000 ft. of sandy beach shoreline, has interpretive platforms and benches, as well as, a boardwalk that leads visitors through the perimeter of 25 acres of freshwater wetlands. Travel west on Hwy. 20 until the ferry dock comes into view. Turn right onto Ship Harbor Boulevard, take the next left and wind down to a cul-de-sac next to Guemes Channel. Washington Park trail is my go-to trail. Several routes lead through 220 acres of forest to breathtaking views of the Olympic Mountains and the San Juan Islands. At Juniper Point, on the southwestern tip, I’ve often seen harbor porpoises surfing in Burrows Bay Channel. Be aware the inland trails can be steep and rooty. For a paved, yet steep walk, take the 2.25-mile loop that curves through the park. Green Point, a grassy area on the northwestern tip, is easily accessed from the paved road and a good place to watch boat activity or climb on the shoreline rocks near West Beach. Follow Hwy. 20 past the ferry, continue down Sunset Ave. to the large parking lot at the end. There is also beach access, restrooms, and a playground. Note: Anacortes Forest Land trails are numbered, and maps can be purchased at the City of Anacortes and the Visitor’s Information Center, or printed off here. I hike Sharpe Park and Montgomery-Duban Headlands trail at least once a year, and each time I say, “Why don’t I hike this more often?” The 2.6-mile loop has some rugged hiking through the largest undeveloped and privately owned waterfront on the island. The trail passes through marshlands and woods with large firs and madrones and offers scenic viewpoints of Lopez Island, the Olympic Peninsula and 400 ft. headlands rising from the sea. There is only one access to the trail. From Hwy. 20 turn right onto Rosario Road and follow it for 1.7 miles to a pull-in parking lot on the left side of the road. This is not an Anacortes Forest Land trail. Rosario Head and Bowman Bay are part of the trail system at Deception Pass State Park. When friends and family visit I take them here because of the outstanding views of Rosario Strait and Deception Pass Bridge. For a short hike, I take Rosario Head trail. 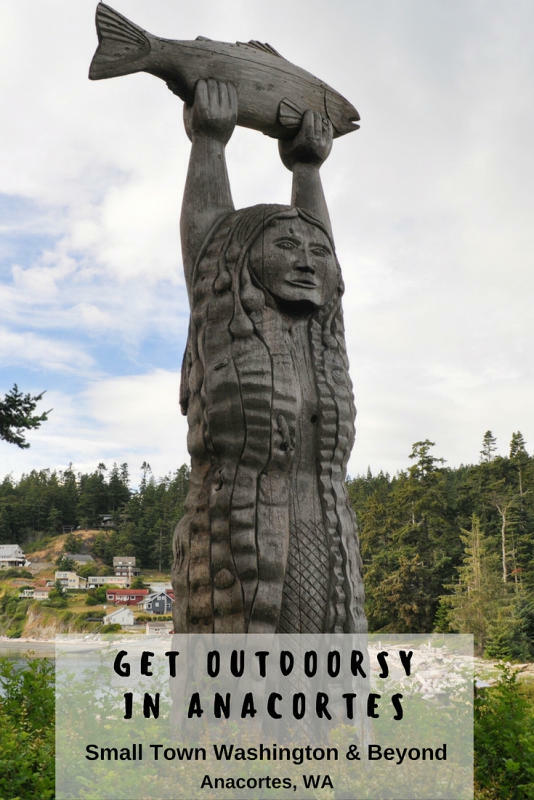 It goes past a pole carving of the Maiden of Deception Pass and around the .3 mile rocky point loop with views of Rosario Strait, Deception Island, Whidbey Island and the Olympic Mountains. The trail does follow the cliff sides and can be steep at times, so it is important to keep an eye on small children and pets. Urchin Rocks, on the south end of the beach, is a good place to explore the tide pools. From Hwy. 20 turn right onto Rosario Road, then turn left onto Cougar Cap Road and another left onto Rosario Beach Road. This leads to a large parking lot with picnic tables and bathrooms. Please note the parking lot closes in the winter, but the trail is still accessible from dawn until dusk. The trail at Bowman Bay is my favorite because it winds between shoreline and marshlands, up to a rocky cliff and then down toward a small beach. At this point the trail splits; the left route loops around Lottie Point and the right around Lighthouse Point. Both offer spectacular views of Deception Pass. The trail from Bowman Bay is around 2.6 miles, and if you get on the trail at Rosario Head, it is around 5 miles roundtrip. This trail is also accessed from Hwy. 20. Turn right onto Rosario Road, take the first left turn onto Bowman Bay Road and follow it to a large parking lot with large grassy field and a playground. Note: A Discovery Pass is required at all Deception Pass Park locations. 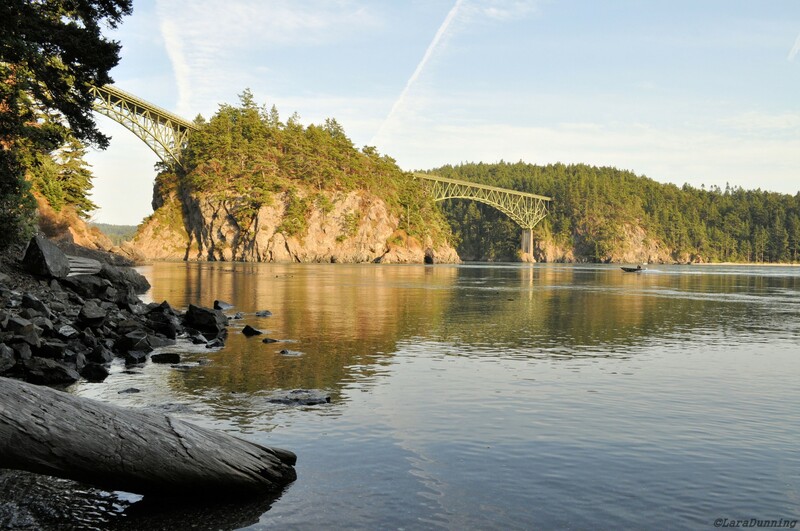 Click here for the Deception Pass Park map. What a gorgeous area and I love all the trails for exploring. I have never heard of this town but it is gorgeous!! Anacortes looks like a beautiful place for hiking. I’ll have to keep it in mind! Sally, That’s great to hear! I hope you get to make it to Anacortes soon! I love places like this, it’s so cool when there are so many different trails to explore! Nic, I agree. For such a small town Anacortes if full of trail options. What a great idea for a quick winter break! The view looks amazing. I definitely would like to walk on the trail at Bowman Bay. Christina, The trails at Bowman Bay are amazing, even on foggy days it’s very dramatic. Wow. What a gorgeous place. I really need to explore this area of the country more. Mags, I hope you do. It is really beautiful. I have a thing for rugged islands, lakes, and hiking. I think I’d like Anacortes! Francesca, Yes you would! I hope you get to make it here some day.